The tele-movie based on her relationship with Elvis called, ELVIS & THE BEAUTY QUEEN Starring Stephanie Zimbalist of REMINGTON STEEL fame as Linda. Don Johnson as Elvis. 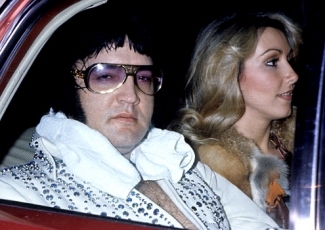 We remember LINDA as Elvis’ beauty queen girlfriend. But what Linda Thompson is doing today? 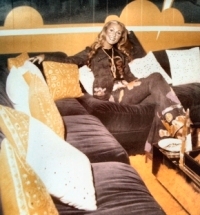 Statuesque 5’9″ Linda Thompson was runner-up Miss USA Pageant There was a tele-movie based on her relationship with Elvis called, “Elvis & the Beauty Queen. Stephanie Zimbalist played Linda. Don Johnson played Elvis! 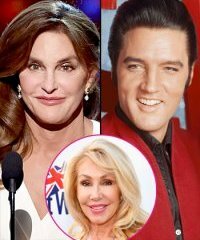 After Elvis and Linda split, Thompson married Olympic athlete Bruce Jenner in the 1980s. She married record producer David Foster but they divorced in 2005. Speaking of singers and songwriters, among the performers at the Junior League Event honoring songwriter Linda Thompson and her husband David Foster were Carole Bayer Sager and Tony Danza who started his career as a song and dance man. David Foster a 14-time Grammy Winner and has written for such talents as Barbra Streisand, Michael Jackson and Neil Diamond. His wife, actress Linda, has also written lyrics for several gold and multi-platinum records, including the Academy Award-nominated “I Have Nothing,” recorded by Whitney Houston for the film The Bodyguard. The Fosters have a special connection to children who have received organ transplants. Their Canada-based organization, the David Foster Foundation, has assisted 137 families from British Columbia with children in need of major organ transplants. The organization is a last resort for families who have no other means of financial support for non-medical expenses when a child must be sent to Vancouver–or out of the province–for medical treatment. The assistance can range from mortgage or rent payments during the time the family is away to the cost of day care for siblings left behind while the parents are with their sick child. Since 1985, nearly 350 babies and young children have received the gift of life because of Dr. Bailey’s pioneering vision in the field of pediatrics heart transplantation. The survival rate at Loma Linda of nearly 80 percent continues to lead the world. Elvis Presley reportedly spent the last five years of his life in misery trying to evade the paparazzi and hordes of fans who hounded him every where he went, revealed his ex-girlfriend, Linda Thompson. 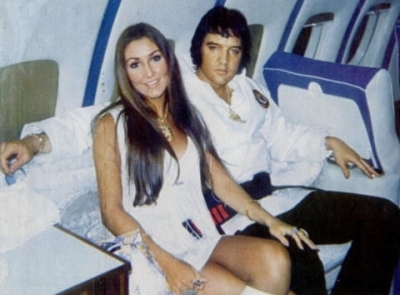 Former beauty queen Linda Thompson who dated Elvis said her life with Elvis was like that of two vampires. WHAT WAS YOUR FIRST IMPRESSION OF ELVIS? Well, I was in the lobby talking to some of the guys and a few of the people who were hanging around and the door burst open and there was this vision. It was the middle of July in Memphis and it was very humid, just sweltering. He had on this black cape with a high collar and a red satin lining and I said “dressed a little like Dracula aren’t we?” so you see, we both shared a sense of humor that was very much like the other. We just hit it off immediately because we grew up in Memphis. We had the same religious beliefs. The same love for our family, devotion to mother and father. We had the same sense of loyalty, we enjoyed the same cuisine because we were both Southerners. IT SOUNDS LIKE IT WAS ALMOST INEVITABLE? ELVIS HAD JUST SPLIT FROM PRISCILLA WHEN YOU TWO FIRST MET RIGHT? It’s funny because when we met at the Memphis Theatre, he was telling me that he’d just separated. We met on July 6th and he had been separated since the beginning of January. YOU MET LISA MARIE PRETTY SOON AS YOU BEGAN DATING. DID SHE ACCEPT YOU AS HER FATHER’S NEW PARTNER? She was a wonderful little girl. She was very embracing and a little shy but I’ve always loved children and we got on really well. The first time I ever saw her was at the Monovale house and I was out by the pool. She kind of timidly came around and said hi. We started talking and we became really close. I loved being with her. You know, Elvis had a real childlike spirit and I have too. I like to do childlike things and to get down to a child’s level. She and I became very close. I BELIEVE IT WAS LISA WHO TOLD YOU OF ELVIS’ DEATH? She called me. She was only 9-years old but she had the presence of mind to call me and tell me what had happened. WAS IT REALLY A SHOCK TO YOU OR DID YOU SEE COMING?